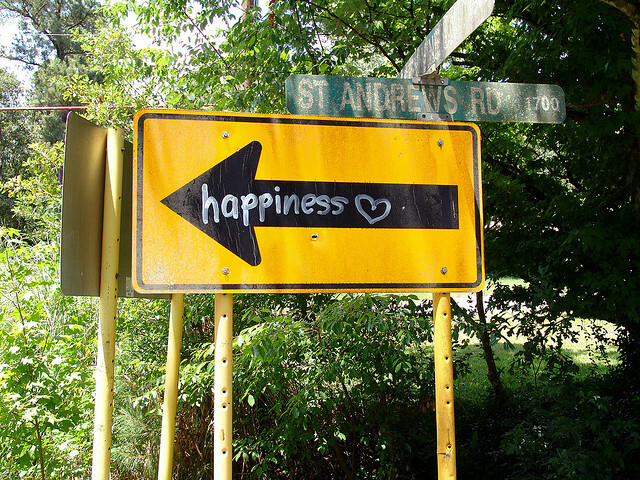 Shortcuts to happiness don’t exist, right? Wrong, says author Jonathan Robinson. He’s the author of Find Happiness Now: 50 Shortcuts for Bringing More Love, Balance, and Joy into Your Life. I’ve read my fair share of “tricks” to be happier, and most of them fall flat. Not so with this book. 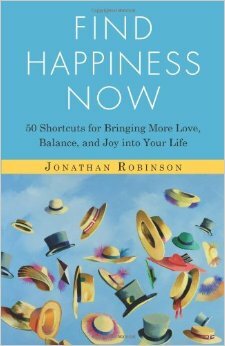 If Robinson were younger, he might have called his tips “happiness hacks” – simple, genius, colorful ways to boost your mood in just a few minutes. “Asking myself what’s important helps remind me that the bottom line in life is not how much I do or make. Instead, it’s how much of my dreams of creating joy, love, and contribution I can integrate into my day-to-day life,” he says. According to Robinson, even if you do this technique for just a week, you’ll be 25 percent happier even six months later. There’s a ton of research about gratitude journaling, and it actually works. According to Marty Seligman, who invented “Three Good Things,” the key is what you do after you write them down: pause for a moment and reflect on how you and your personality traits helped bring them about. Then, positivity becomes part of your identity. “You start to understand that no matter how difficult a situation you’re in, your ability to laugh, or connect with others, or learn something new or whatever is good about you can help create a special moment. The power is within you,” explains Robinson. Some people journal at the end of the day, and others write down happy moments as they come along. I’m in the midst of trying this out for a month, using Happier. “Thank you for my car, thank you for my iPhone, thank you for this beautiful music, thank you for this nicely paved road, thank you for the man that just cut me off, thank you for the anger that stirred up in me, thank you for the opportunity to practice forgiveness,” writes Robinson. The idea is to train yourself to stop taking things for granted, and even start appreciating the silver lining in the “bad” things. It might seem crazy what I’m about to say, but Robinson recommends that you silently belt out songs that fire you up when you need a confidence boost. To top it off, adopt the facial expression and swagger of your favorite superhero, and you’ll be ready to conquer the world. “If you really allow yourself to let go and pretend, you’ll soon find that it no longer feels like an act. You will feel totally self-assured. You will be unstoppable,” explains Robinson. It’s not such a crazy idea – just watch Amy Cuddy’s TED talk on power postures, and you’ll learn how certain positions release different hormones into our bodies, making us feel stressed or invigorated. Songs can give us confidence, but they can also give us peace and inspiration. Robinson recommends that you create a magical playlist with your favorite uplifting songs. When you feel the stress coming on – or maybe for an afternoon break – you can pause for 5 or 10 minutes to soothe your soul. The problem with rejection, Robinson explains, is that we see it as a failure – and fear it. But if you create a rejection goal – say, one rejection per day – getting rejected becomes a success! That means you’ll have to ask for what you want more often, and you may get some unexpected yes’s along the way. If you’re so inclined, you can actually do a 30-day Rejection Therapy experiment. It comes with iPhone and Android apps, and there’s even an Entrepreneur edition. The pure love meditation: After getting comfortable, picture someone you love giving you a heart-melting look and think about why you appreciate them. Imagine hugging them and your souls being connected. “The Pure Love Meditation is a practical way to build a bridge to the ‘kingdom of heaven within,’” he explains. The jaw-dropping meditation: Take about 5 minutes to be aware of the tension in your jaw and face and let it all go, letting your jaw drop wide. When you open your eyes, imagine that you just arrived in your body and are seeing the world through new eyes. We have 50,000 thoughts a day, Robinson says, and the enlightened ones often slip away and are forgotten. To catch them before they fade, get in the habit of writing down your best ideas and goals right away. “I have found that since my brain now realizes I take its insights seriously, over the years I’ve had many more important realizations than I used to have,” he says. Every week or month, read through your journal and feel the inspiration. I love the idea of life experiments, and I plan to do more in the future. Would you try any of these techniques, just for a month? At the beginning of February, I had embarked on an experiment in self-knowledge. I believe strongly that knowing yourself is a major component of happiness, but how do you go about doing that? Understanding my feelings and emotions sounded like a good place to start. So (nearly) every hour in February, I stopped to jot down my current emotion, then set a timer for another hour. Sometimes I forgot, and I went a few hours ignorantly un-self-aware. But I never missed more than a few. In addition, I used a service called AskMeEvery to record my daily level of stress and happiness. I kept track of my sleep, and I could also see how many happy moments I shared on Happier (acting like a gratitude journal). Looking back, February was a packed month. 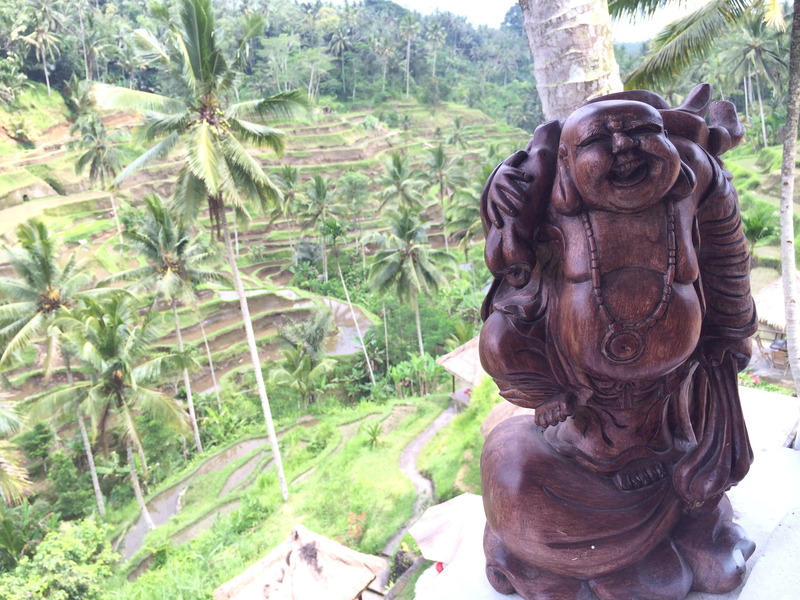 I spent three weeks in Bali, devoting my daytime energies to helping my boss write a book and immersing myself in Bali’s beauty and warm weather on nights and weekends. I spent the last week in February in Hong Kong in the tiniest hotel room you could possibly imagine, hurrying to finish the book manuscript and prepare for another big SXSW conference. When all was said and done, I had recorded a total of 176 positive emotions, 216 negative, and 39 neutral. I had 14 days that were a 7 out of 10 on the happiness scale, eight days that were an 8, and six days that were a 6. And only five times during the month (approximately) did I yell at my phone for its constant buzzing.